Built-in Amazon Alexa: Sonos One allows you start and control your music with your voice. Amazon Alexa built right in. Use your voice and the Sonos app to control and manage all your music in one place: Amazon Music, Spotify, Pandora, Apple Music, radio, podcasts and much more. Everything that Alexa does: Play songs, check news and traffic, manage smart devices and enjoy all those other helpful Amazon Alexa skills using a single Sonos speaker. Trueplay speaker tuning: Trueplay fine-tunes Sonos One to ensure you get the very best sound in any room, no matter where you put it. 6 far-field microphone array: For advanced beamforming and echo cancellation. Touch controls: Tap to turn up the volume. Swipe to skip a track. Mute the microphone for privacy. Sonos One's touch controls are always a tap away. 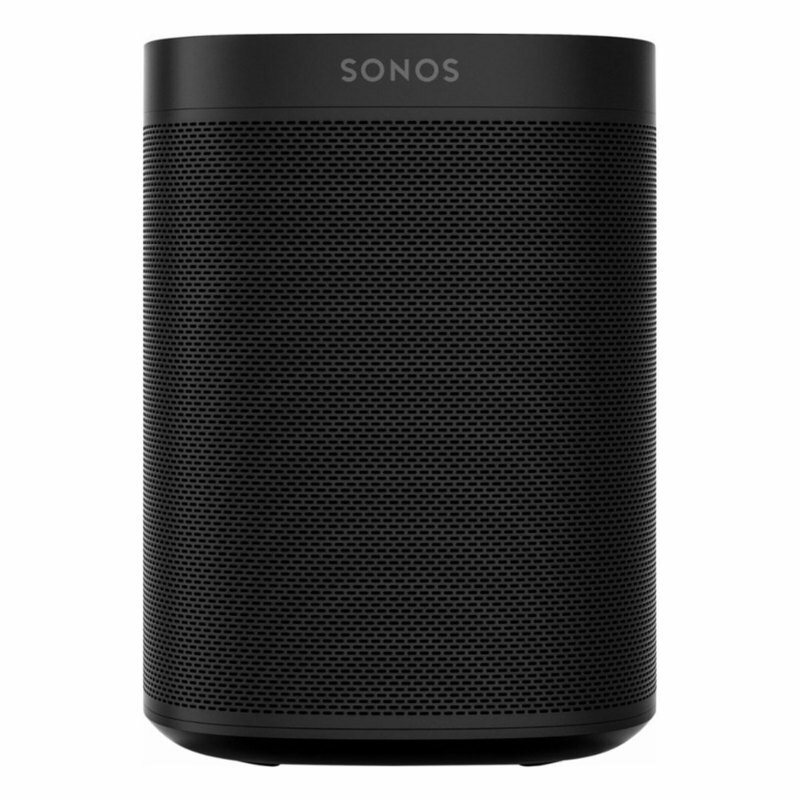 Humidity resistant: Designed to be moisture resistant, Sonos One streams your favorite songs in music starved places like bathrooms and outdoor patios. All you need is Wi-Fi and a power source. Fits almost anywhere: Mount Sonos One to the wall, ceiling or a speaker stand. Its small size also makes it perfect for bookshelves, counters and snug spaces.